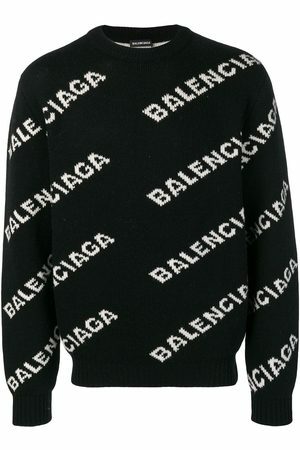 If you’re going to opt for extravagant branding, Balenciaga is your go-to. This season, expect more logo-sprawled surfaces and street-inspired shapes. This black cotton logo print hoodie from Balenciaga features a drawstring hood, long sleeves, a ribbed hem and cuffs, kangaroo pockets, a relaxed fit and a white logo print on the back.